In an age that has seen a growing societal aversion towards religion and thus the departure of casual Christianity, the minds and efforts of Christians—Catholic and Protestant—are being reawakened and united for the sake of banding together in the defense of the good, true and beautiful. This banding together has provided a critical opportunity for Christians of all denominational stripes to enter into ecumenical dialogue. As credibility and trust is earned on all sides within Christianity, the potential of having fruitful theological-toned dialogue rises; and an unique opportunity to search the Scriptures and historical sources together for answers to questions long-gone-unanswered presents itself. Thus, present Christian unity on moral issues has opened the door for future Christian unity on doctrinal issues. This new atmosphere of interdenominational collaboration and dialogue makes books like The Protestant’s Dilemma: How The Shocking Consequences Of The Reformation Point To The Truth Of Catholicism unquestionably useful for the New Evangelist. 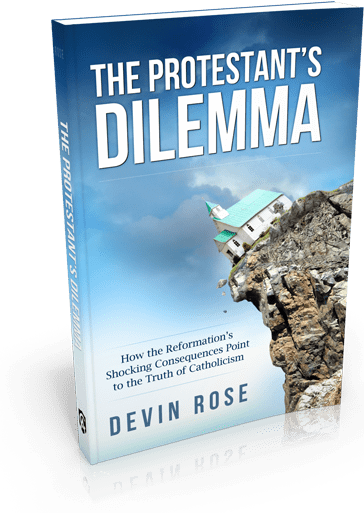 Written by former atheist and evangelical Christian, Devin Rose, The Protestant’s Dilemma (published by Catholic Answers Press) is yet another gem for the thinking Christian’s bookshelf. Covering a vast landscape of topics—none irrelevant or unimportant—Rose brings up many of the major questions and objections against Catholicism that most Catholics have found themselves fielding in their dialogues with their Protestant brothers and sisters. Exploring proposed issues on Church authority, the Bible, sacraments, prayer, moral issues and beyond, The Protestant’s Dilemma provides a blast of intellectual affirmation for the inquiring Catholic—and challenges the Protestant to consider some very challenging questions which hold vast implications. The book is accessible and engaging, much thanks to the unique style and approach utilized by Rose. It is divided into four major parts (“The Church Of Christ”,” The Bible And Tradition”, “The Sacraments And Salvation” and “Christian History & Practice”), and within each part are sections, each devoted to a common Protestant objection against Catholic beliefs and/or practice. In each section, Rose takes the corresponding objection and seeks to reduce it to its absurd or “hard to swallow” conclusion, using the same line of logic the Protestant used to arrive at the objection in the first place. Each section therefore begins with the prefix, “If Protestantism is true…”. A very engaging and provocative style indeed. Absurdities will always sound absurd. But Rose does not just state objections, disassemble them and stop there, leaving the arguments limping with no remedy. The Protestant’s Dilemma is by no means an obnoxious collection of polemics. Instead, recognizing that most Protestant objections arise out of misunderstandings of Catholic doctrine, Rose takes pains to correct the offending misunderstandings that lie at the root of the objections. For Catholics and Protestants alike, Rose explains what the Church really teaches after addressing each objection. The Protestant’s Dilemma is thus a well-balanced source of charitable apologetics and catechesis; and although its title is provocative it accomplishes a number of things: First, it represents unambiguously what Rose hopes to expose in his analysis of objections against Catholicism; Second, it clearly implies the book’s respective genre ; Third, and perhaps most importantly, it hooks the Catholic and the Protestant into opening the book. I think the title is genius (and I would have said the same about an antithetical work called The Catholic’s Dilemma if another author would have beat Rose to the chase). Devin Rose is a skilled writer, and for this reason I’ve followed his blog St. Joseph’s Vanguard for quite some time. In The Protestant’s Dilemma, impressively, the quality (and clarity) of his writing is turned up another notch. 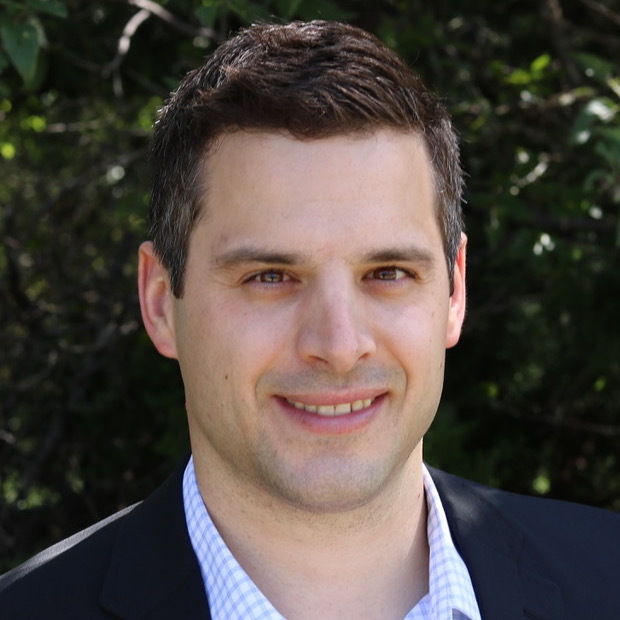 He addresses a wide range of issues and takes some creative approaches. The sections are short—which eases the reading effort—but they are not light. The quantity does not betray the quality of the 2-4 page tracts. I was thrilled to uncover some new treasures along the course of the book: For example—that the founders of the Reformation interpreted the Great Commission (“Go therefore and make disciples of all nations…” at the end of Matthew’s Gospel) as a commission for the apostles only, and therefore, did not believe lay missionary work to be “biblical”. Thus for centuries, Protestants had a hostility towards the missions. Rose cites notable Protestant historian, Alister McGrath, who confirms this. Thus because missionary work is a substantial focus of Protestant Christians today the section begins by proposing, “If Protestantism is true, today’s Protestant missionaries are misinterpreting the Great Commission”. But you’ll have to read it yourself to find out what he writes next! Without reservation I recommend this book to Catholics and Protestants alike. It is engaging, thought-provoking and easy to read. Furthermore, it is a fantastic launching point for amateur Catholic apologists who wish to be introduced to the most common objections against the faith—and the biblical, philosophical and historical answers that put such objections to rest. Thanks to the contributions of many intelligent Catholics through the ages, and a modern surge of quality Catholic apologetical writing today, Devin Rose’s The Protestant’s Dilemma is one of the many great books that will lead you into the heart and genius of the Catholic faith.